There is a lot of confusion about what it costs to study for a higher education course these days, and many people worry that a degree is financially out of their reach. In order to make a decision about whether to study for a higher education course, it’s important to have all the information to hand. You’ll need to work out how much money you are going to need and what financial help is available to you. The main two costs you’ll have to meet when you’re studying for a higher education course are tuition fees and maintenance costs. Tuition fees are charged by universities to cover costs such as teaching salaries, premises, overheads and other expenses associated with running a university. 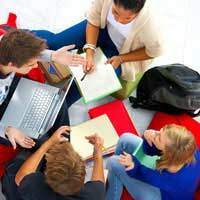 Universities can now set their own tuition fee rates for full-time home students, up to a fixed amount set by the government. The maximum amount they can currently charge is £3,290 a year. Most universities tend to charge the full rate. To find out what individual universities are charging you can visit their website. Unlike fees for full-time students, there is no restriction on the fees which universities can charge part-time students so fees will vary between courses and institutions. To find out how much the courses you’re interested in would cost to study, contact the individual universities and look at their websites and prospectuses. Maintenance costs refer to the money you’ll need to cover your day to day living expenses. How much these costs will be will depend on various factors such as where you study, the type of accommodation you live in and your chosen lifestyle. If you plan to live at home while you are a student, you will obviously make large savings here. However, for many students going to university is the first time they will be living away from home. The most budget-friendly option for the first year is probably halls of residence, as bills are usually included. After that many students share a house with between about two and six others. Living in large groups is fun and means the bills such as electricity, gas and water are split equally. If you’re living away from home you’ll have to budget for all your meals, and if you live at home you’ll probably have to contribute some money to the shopping bill. Some halls of residence are catered and the cost of one or two meals per day is factored into the fees. This can help with budgeting while you find your feet. As well as budgeting for travel to and from uni, you also need to plan for trips home. Think realistically about how often you’ll want to travel home or visit friends. Travel discounts are often available for students. You probably won’t be able to wear designer gear and go out every single night as a student, but you do need to budget for some new clothes and socialising costs. There are often cheap student nights to keep costs down and many shops offer student discounts. Bear in mind that you’ll have some costs associated with your course. Although there’ll be the library, you’ll have to buy some key texts and there may be extras such as field trips. Some courses, such as art and design subjects, will require you to buy materials as well. It’s impossible to be exact about these costs, but you can get a very good idea with a bit of research. There a few student living costs surveys available which compare prices at various places around the UK. Also, university websites and student advisers are a great resource and many provide detailed breakdowns of the average living costs in the area. It’s important not to be immediately put off by the costs associates with higher education. You have to balance these costs against the wide range of financial help that’s available. Our articles Financial Help with the Costs of Higher Education and Applying for Financial Help for a Higher Education Course will give you a better overall picture. I was raised by single mother who strive hard to educate me from infant to senior s.4,since school fees were high she couldn't push high any more ,from there I went to certain school and requested for any job ofcleaning hostelsas I study,the headmistress accepted and I managed to compete s.6 and I didn't give upI look for a job in a steel company were I save some money and joineduniversity and am done with the first year but Ihave failed to raise the tuition to go ahead ,I there kindly appeal to any volounteer to sponsor me and Icomplete my course [bachelors in management science ] Iwill so glad . I don't have matric certificate and still want to futher my sudies.My mom she's a pensioner she's a single parent and she does'nt have money to pay for my studies please help me to find student loan to study investigation course.And i'm willing to stay next to the university. Iam looking the one to sponsor my masters study the course of study is public policy, planning and management. Please help!